Outlook PST Recovery software scans the damaged Outlook PST file to recover Outlook mailbox items including emails along with attachments, contacts, journals, tasks, calendar entries, etc. and restores the recovered items as PST, Exchange, EML, MSG, HTML and other most utilized file formats. Recovers entire PST data such as emails, contacts, calendars, tasks, etc. Maintains email properties such as To, Cc, Bcc, Subject, Date, Time, From, etc. Exports recovered PST data to highly utilized file formats- PST, MSG, MBOX, EML, HTML, etc. Buy Online - $ 39 Free Trial How it Works? Batch recovery makes the process faster and provide results in saving time. Its dual recovery and conversion capabilities makes it a cost effective solution. A secure app free from virus, malware and spamware; keeps your PC safe. Works with all MS Outlook versions; no need to re-install the software. Simple GUI and easy recovery steps does not demand technical knowledge. Outlook PST Recovery software is developed to recover highly corrupted Outlook PST files in order to bring data into accessible and usable format. The PST to PST converter tool integrate advanced scan algorithms that thoroughly analyses the damaged file to fetch all recoverable data and restore it as new PST that can easily be imported into all versions of MS Outlook. Outlook file recovery software recovers data from the state of corruption and restores it to multiple file formats that include PST, EML, MSG, HTML, MBOX, Office 365, Exchange and vCard. This makes data accessible over various email clients on Windows and Mac Operating Systems. vCard file format saves contacts in an organized manner after they are recovered using the tool. PST file recovery software is designed keeping in mind the simplicity parameters. The simple GUI makes the procedure to repair Outlook PST file self-explanatory and straight-forward. No technical expertise is required to recover corrupted PST files; therefore users with minimal technical knowledge and understanding can perform the Outlook data recovery task and save data to any of the usable file formats. The PST file repair tool helps restore corrupt PST file data to different file formats after the damaged file is recovered from the state of corruption. Not only it enhances the accessibility of Outlook data on various email clients, but makes PST data supportive on multiple operating systems. For example: Restoring data to EML or MBOX makes the data accessible on Mac operating system using AppleMail, Mozilla Thunderbird, etc. Outlook email recovery software is compatible with all the versions of MS Outlook emailing client including Outlook 2016/ 2013/ 2010/ 2007/ 2003 and lower editions. It supports recovery of both ANSI and UNICODE PST files. The users do not require upgrading the Outlook Recovery software to recover Outlook PST file on Windows because it supports all Windows 2010, 2008/8.1, 2007, 2003 etc. and this makes it the most scalable application. Regardless of the size limits and the intensity of corruption existing in the damaged PST file, PST file repair software efficiently repairs data and restores Outlook PST to Office 365, Exchange, HTML, PST, vCard, etc. One of the main reasons behind PST file corruption is reaching the stipulated storage limitation; therefore the Outlook PST Repair tool is highly beneficial in recovering such files. The PST to EDB converter is developed using highly optimized algorithms that not only recovers corrupted PST files, but makes the recovered data accessible over network. The Outlook data recovery software possesses the capability to convert recovered data from MS Outlook to Exchange and this makes the file sharable over Exchange network. This feature is highly usable in large organizations that work over client server infrastructure. The Outlook email recovery software is a secure and reliable solution that performs all the tasks in a responsible way. While saving the recovered email messages, not only the Outlook recovery software works smartly in restoring the enclosed attachments along with the respective emails but it also maintains the Meta properties of the email messages. This prevents the integrity of recipient and sender fields such as 'To', 'Subject', 'Cc', 'Bcc', 'From', etc. 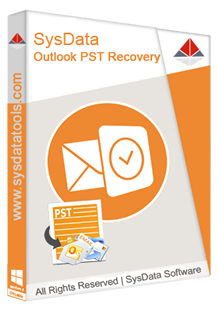 Prior to recover Outlook PST file data, the PST Recovery software retrieves information about all recoverable contents and displays it within the tool panel. The preview of the data that can be recovered is generated in the preview pane available at the left panel of the software. This helps user in accessing the files and selecting it as per requirement and preferences for recovery. EML stores single message per file, making them more organized and accessible. The PST to EML converter tool is considered as the best PST to EML conversion solution as it provides the option to save recoverable data to the single file format. EML files are easy to export to various email clients on Windows and Mac machines. EML supported email clients include Thunderbird, Mac Mail, Windows Live Mail, Windows Mail, Entourage, etc. Although the simple graphical user interface of the tool makes Outlook PST recovery procedure easier, but queries are always welcome! For timely resolution of user queries and questions, 24X7 technical support and assistance is provided. The support services are delivered from highly skilled and trained IT professionals through various channels including email, telephonic conversation and online chat. Outlook PST Recovery software can be tested by downloading the freeware or trial version of the tool that allows recovery of 30 items per folder. The trial version is available for free and helps users test the overall functional procedure and working criteria. Outlook file recovery software can be used exclusively to convert PST to HTML free. Contact the support team to activate the licensed version for unlimited PST recovery.